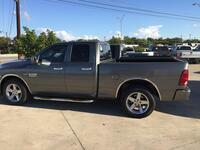 If you’re looking for quality pre-owned RAM trucks in Austin or the surrounding area, you’ve come to the right place. We here at Third Coast Auto Group offer a variety of excellent RAM models and will be happy to help you find the one that suits your needs. RAM trucks split off from Dodge in 2009 in order to become their own special division. 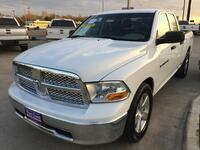 The first purely RAM trucks rolled onto the market for the 2011 model year. These beasts are known for their effortless combination of capability and power; since the beginning, they’ve managed to be a true rival to the ubiquitous Ford F-150 and other top-tier pick-ups. Our dealerships boast a wide, constantly changing inventory selection which is sure to meet both your needs and budget. 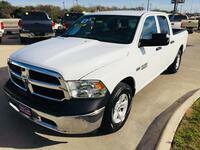 We have quality RAM trucks in great condition that can fulfill your desires for both work and play. If you don’t see the particular model you have in mind, give us a call- we might be able to track one down for you. Here at Third Coast Auto Group, we want to help you realize your dream of car ownership, no matter your credit situation. We’ll work with any credit status, including bad credit, poor credit, or even a history of repossessions. Though you can make payments in-person at any of our five dealerships, we also offer online and automated payment options to make things easy. 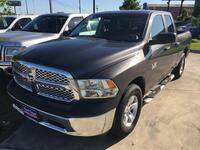 Our team is happy to help you through the whole car-shopping process for your new RAM truck or any other vehicle. Fill out the form on this page with any questions you may have. We’re also happy to schedule a test drive for you for any of the vehicles in our inventory. Our five dealerships serve the greater Austin area through locations in Austin, Round Rock, Kyle, and New Braunfels, TX. Our inventories consist of hand-picked, rigorously inspected vehicles so that we can guarantee our customers receive top-quality rides. In addition, much of our inventory is available with our 6-month/6,000-mile warranty, bestowing even more peace-of-mind.